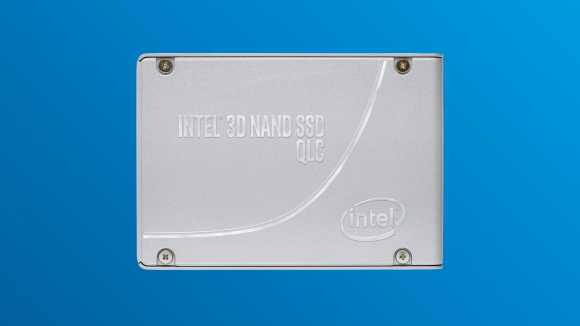 Intel has launched the first consumer QLC SSD, the Intel SSD 660p, beating the droves of competitors all seeking for four-bit market dominance. With its 64-layer NAND Flash design, the 660p is available in sizes up to 2TB, and comes equipped with the rapid transfer PCIe 3.0 x4 interface. The speediest SSD tech just got that much more affordable. At just $100 for a 512GB drive, the Intel 660p is available for less for than the latest Samsung 860 EVO drives and only a little more than the very cheapest, bog-standard SATA SSD on the market today. 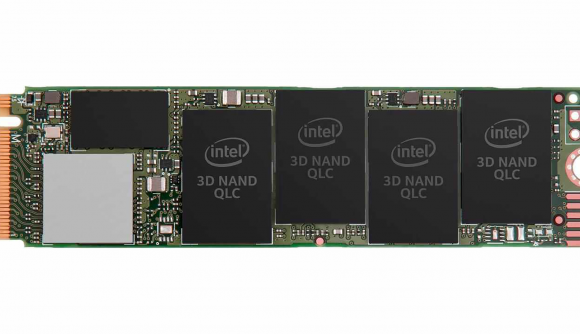 With the limited SATA SSDs hanging around due to their competitive pricing, it seems QLC memory might be finally bridging the gap between SATA and NVMe. Back when we reviewed the Intel 512GB 600p SSD, a speedy NVMe drive built with three-bit TLC cells, we felt that, while not the fastest drive around, it was one of the best value NVMe drives on the market at $180 – which leaves the $80 cheaper Intel 660p in a league of its own. Well, until the likes of Micron (still in partnership with Intel for the time being), Samsung, and Toshiba can launch QLC drives to match. The old 600p wasn’t all that speedy when it came to write speed either, despite that NVMe interface. At only 560MB/s write it’s pretty much delivering SATA speeds. However, the Intel 660p is promising both read and write speeds far beyond that of the SATA protocol. While budget-friendly M.2 drives are often hindered by the SATA interface’s 600MB/s speed limit, the Intel 660p makes full use of the PCIe connection, offering max sequential read performance up to 1,500MB/s, and sequential write speeds up to 1,000MB/s. Intel isn’t the only NAND manufacturer taking the plunge into QLC by the end of the year. Toshiba, WD, and Samsung have all confirmed they too will be releasing four-bit drives either just before or just after the year’s up. Consumer SanDisk drives look to be some of the first we’ll see following Intel’s 660p. QLC isn’t breaking performance records or lasting a lifetime of read/write cycles, but for budget gamers who won’t be writing 100s of gigabytes every day, that’s not all that big of an issue. For most, QLC, TLC, or whatever else is on the box, just isn’t all that important, what really matters is the price tag and the capacity – and if Intel’s pricing is anything to go on, gamers will be able to supercharge their rigs, or even ditch mechanical drives entirely, without spending a fortune before 2018’s out.